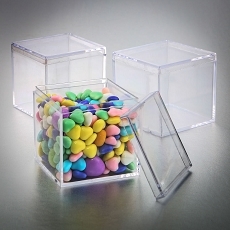 Offer your guests a fabulous treat packed in a cute clear acrylic cube box. They boxes can be used after your event, at home, to store spices, change, trinkets and other treasures. Add a unique personalized label to match the décor theme of your event. This food safe box is a great container for all your favor treats for any event. The clear top comes off for easy access to fill the box. The sturdy construction of premium quality acrylic ensures that the box can be used as a versatile container for a variety of other uses, food treats, change, spices, exotic teas and more. 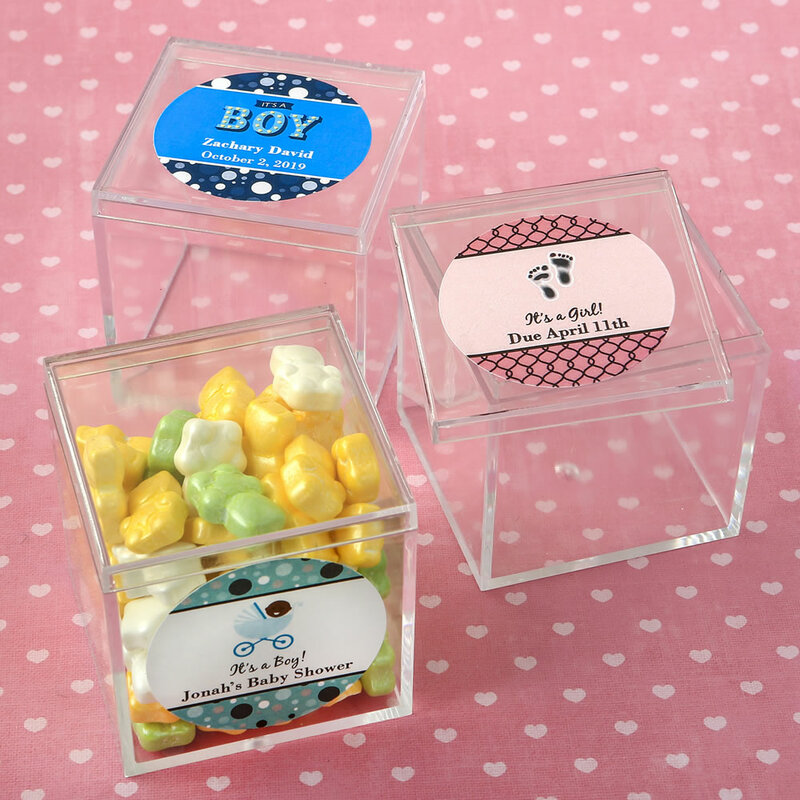 The top or side of the cube is the perfect place to put your personalized label. You choose from an exceptional selection of colors, themes and customized titles, for weddings, showers, or any occasion, to turn them into one-of-a-kind mementos of your big day. Use our exclusive Design Tool to preview your customized label before you order. Labels come on 8.5" x 11" easy peel and stick sheets. Labels are 1.75".